When it came time to enroll their daughter in kindergarten, Jose and Maria Garcia knew she faced a tremendous challenge. Neither she nor they spoke a word of English. Yet they were determined she would get the best education available so she could have a life better than theirs. It was why they had come to Holland, Mich., from Mexico, and why they toiled at low-paying migrant jobs, moving with the seasons to follow the work. As summer moved into autumn, Jose Garcia had no idea which school his daughter, Yessica, should attend, so he did what seemed most logical: He put the little girl in his car and followed a school bus that pulled into the migrant camp, a collection of stark apartment buildings surrounded by Ottawa County farmland. Everytime the bus stopped to pick up more children, Jose Garcia’s car stopped behind it. After a while, the bus driver became suspicious and finally confronted Garcia. Despite a language barrier, he was eventually able to persuade the driver his intentions were honorable. He simply wanted to enroll Yessica in kindergarten. As luck would have it, the migrant camp was in an area served by Lakeshore Elementary, a West Ottawa Public School north of Holland. 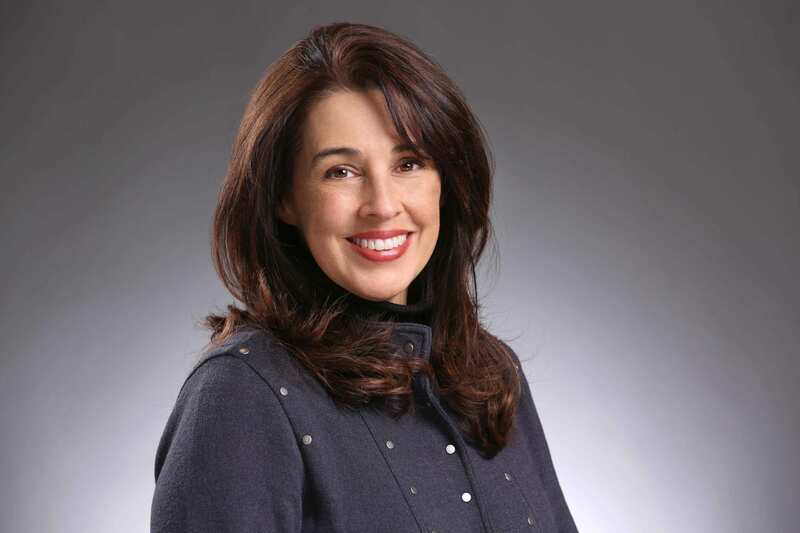 Lakeshore had a record of helping children such as Yessica overcome the barriers of language and poverty, raising them to the academic levels of students in more affluent schools. Thirteen years later, Yessica graduated in the spring of 2014 from West Ottawa High School in Holland near the top of her class with a grade point average above 4.0, when weighted for credit she received for advanced placement classes. Now 19, she recently completed her first year at Western Michigan University with a scholarship covering her tuition. The district’s gift for raising the reading skills of students for whom English is a second language shows up in test scores. In the early elementary grades, Lakeshore’s Hispanic students generally score lower in reading than the school’s non-Hispanic white students. At the beginning of third grade in the 2013-2014 school year, for example, 72.7 percent of the Hispanic students were proficient in reading compared with 84.8 percent of white students at the school. That same year, 77 percent of Hispanic fifth grade students scored proficient in reading. By eighth grade, the difference in reading achievement between Hispanic and non-Hispanic students in the district had virtually disappeared. 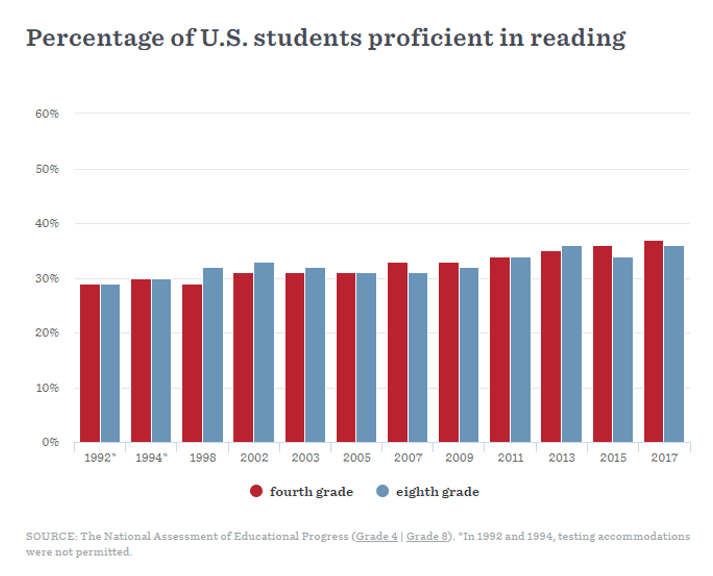 Reading achievement, particularly by the end of third grade, is a key predictor of a student’s future success in school and, ultimately, in life, research shows. It’s the reason why Gov. Rick Snyder and state lawmakers have been searching for ways to get more Michigan children to read proficiently by third grade. In Part 1 of this series, Bridge analyzed how two elementary schools with similar student populations in the same district (Grand Rapids and Dearborn) could perform so differently on third-grade reading exams. Lakeshore presents a different, more optimistic dynamic: an elementary school filled with poverty and language challenges that is not only able to get students on a path to reading at grade level, but to compete with the district’s white, more affluent students and schools. Students who can read well by the end of third grade are more likely to graduate, go on to college and find well-paying jobs, according to a 2015 Education Trust-Midwest study, “Michigan Achieves: Becoming a Top Ten Education State.” Those who are not proficient in reading by third grade are more likely to drop out of school, break the law, become dependent on government assistance and earn far less than those who graduate and attend college, the study said. 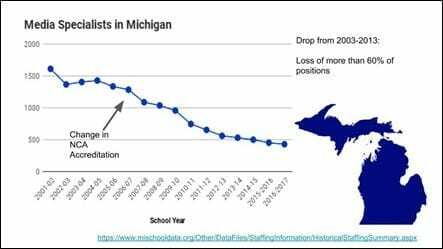 Michigan’s schools rank near the bottom of other states in academic achievement, particularly in reading, and risk slipping further behind, Lenhoff said. Lakeshore Elementary is one of nine elementary schools in the West Ottawa Public Schools district, which draws more than 2,300 students from Holland and nearby rural areas where many migrant families live and work. Lakeshore is an anomaly, drawing an economically diverse range of students from the multi-million dollar homes on the Lake Michigan shore less than a mile away, as well as those who live in the spartan migrant camps, where families come in the warm months to work in the nurseries and blueberry farms. A few miles away from Lakeshore in the same district, Waukazoo Elementary serves a less diverse and more uniformly affluent population, including students who come from the exclusive neighborhoods along Lake Macatawa. About half of Lakeshore’s students receive free or reduced price lunches – a measure of the area’s poverty rate – compared with about 20 percent of Waukazoo students. More than 30 percent of Lakeshore’s students are Hispanic, including many who spoke no English when they started school. That’s more than twice the Hispanic enrollment of Waukazoo. Given the challenges presented by higher poverty and many students’ lack of fluency in the English language, Lakeshore should not be able to compete with a school like Waukazoo. Among the school’s Hispanic fourth graders, the same portion – 81 percent – were proficient in reading in 2012, well above the statewide average of 58 percent for Hispanic students. A slightly higher portion of Waukazoo’s fourth grade students – 88 percent – were proficient in reading in 2013-2014, but a year earlier, Lakeshore’s fourth graders scored even better than those at Waukazoo – 88 percent for Lakeshore and 85 percent for Waukazoo. In 2014, the U.S. Department of Education honored Lakeshore Elementary as one of seven schools in the state to be named a National Blue Ribbon School for academic achievement. The past two years, the Michigan Department of Education gave Lakeshore its “Beating the Odds” award for overcoming educational barriers, including language and poverty. In Bridge’s Academic State Champsrankings released in February, in which a school’s poverty level (but not students’ English-language skills) is taken into consideration, Lakeshore Elementary placed 18th out of 1,210 Michigan elementary schools. He was born in Germany and spoke only German until his parents immigrated to this country when he was a child. In meetings with teachers, when they celebrate their student’s reading abilities, Milobinski sometimes reminds them that even those high scores aren’t good enough. Would you settle for your child being one of the students who can’t read? he asks. “If we’re not having all of our kids achieving proficiency, then we have a long way to go,” Milobinski said. The school uses a method called Response to Intervention (RTI) to identify those students who need extra help in reading. On a recent morning in the Lakeshore Elementary library (for the benefit of Hispanic students and parents, a sign identifies it as the “biblioteca”) teachers huddled one-on-one with students, administering a reading test called DIBELS. Three times a year, teachers give the test, which stands for Dynamic Indicators of Basic Early Literacy Skills, to monitor each student’s reading progress. Those who have trouble reading are given two additional one-on-one reading sessions every day, one from a resource teacher and the other from their classroom teachers. Every six weeks, Milobinski meets with teachers and the school psychologist to review data on each student’s reading ability and assess which ones need additional help, either with overcoming a language barrier or with reading in general. Equally important is employing teachers who are passionate and committed to teaching and have the skills to infuse their students with a love of learning, she said, as well as parents who are engaged in their children’s education. In addition to students from its geographic area, Lakeshore Elementary draws non-Hispanic students from throughout the district for its Spanish immersion program. First grader Lovel Kim sat down with Archer for her turn at the DIBELS test. Her native language is Korean. In preschool, she learned English. In kindergarten, she learned Spanish, and by first grade she was able to read chapter books in English. She is 6 years old. At a nearby table, Sarah Schuch, who teaches special needs students, administered the DIBELS test to another student. Over Christmas break, she gave bundles of books to two brothers who were having difficulty reading, and she called them every day so they could read to her. In a fifth grade classroom down the hall, teacher Chad Dewitt projected on the wall the number of points each student had earned for reading books in fourth grade. Write down those numbers, he told them, and he then projected the points each had earned so far in fifth grade. Most had amassed more points this year. The goal is not to make reading something the students have to do, but that they want to do, Milobinski, the principal, said. Ten-year-old Juan Hernandez, a fifth grader who spoke almost no English when he started kindergarten at Lakeshore, had nearly doubled the number of books he had read the previous year. Like other children of migrant workers, he faces the additional challenge of having his education interrupted when the family moves during the year. In Juan’s case, the family usually leaves in early November for work in the South, then returns in February or March. His teachers send him off with books, so he can continue reading. Many of the migrant families head to Florida and Texas in the fall and winter, where they work in citrus groves or pick strawberries or other produce. Some return to Mexico, until harvest time back North. Yessica Garcia Melendez (she uses her father’s surname and her mother’s maiden name), the honors student now at Western Michigan, remembers what it was like leaving Lakeshore for another school only to return months later. 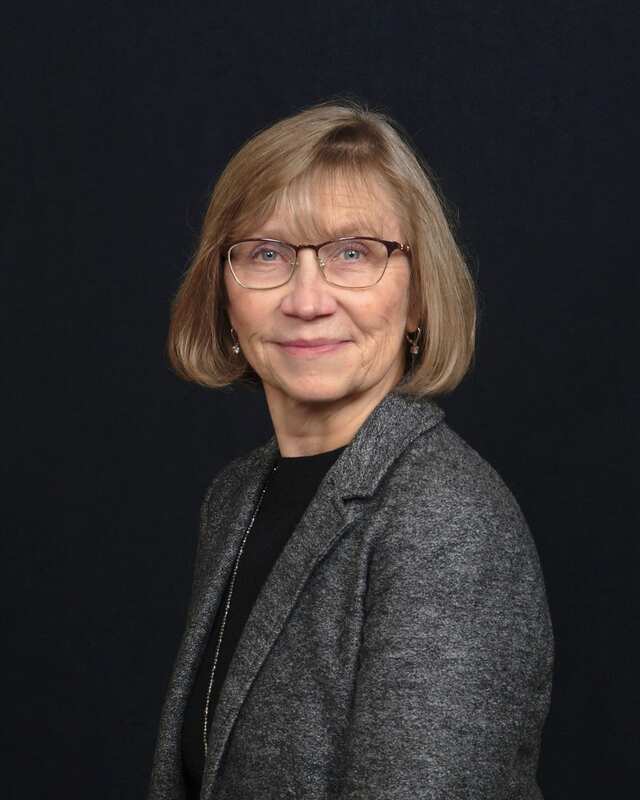 During the summer and early fall, her family lived in Pine Acres, a collection of apartment buildings for migrant workers in the rich Ottawa County farmland a few miles inland from Lake Michigan. Across the road, a new country club, Macatawa Legends, rose in recent years from the rolling farmland along with pricey condominiums, a stark reminder of the wide income gap between many area residents and its seasonal workers. Eventually, she began telling classmates she’d been on vacation. Her father, Jose, recalled that when she first started kindergarten at Lakeshore, Yessica spoke gibberish, mimicking the English words she had heard. By the end of first grade, she spoke English quite well. Her teachers encouraged her to read more. Her parents still speak little English, so she translates for them. As she approached her senior year, Yessica assumed her education would end, and she’d take a job in a factory, but a school counselor and a teacher encouraged her to go on to college. She applied to five colleges and was accepted at all five. She chose Western Michigan because, given her family’s income, the scholarship covering all tuition made a tremendous difference. She’s studying to be a nurse. Do her parents expect all this education will help their daughter have a better life? Both nodded.